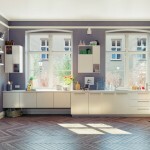 Corners are the most under-utilised, underestimated spaces in kitchens. Most often, they get wasted or are dumped with stuff we will never use and forgotten away. 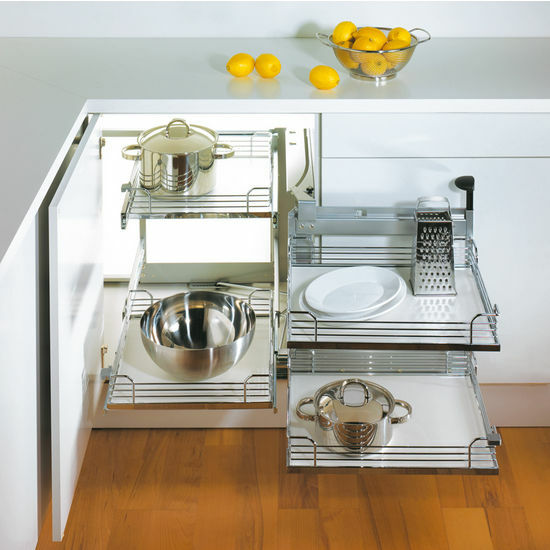 Corner units not just take care of storing utensils and cutlery but keep kitchens organised. Below are a few common corner units you can use in kitchens instead of watching the space waste away. In the days of old, corners in kitchen cabinets often remained under-utilised and unused. Everything used to be stored towards the front. With modern modular kitchens, the ergonomics of kitchens ensure such corners don’t go waste. Corners units have therefore become more spacious, versatile and customised. Blind corners are partially reachable and partially hidden away. They are either left blind or right blind depending on which part of the corner is accessible. There are only a few accessories which can be used with them. 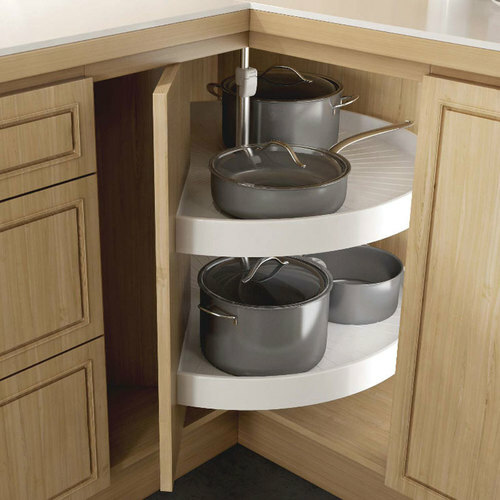 Leman’s Corner, also called the ‘Hybrid Susan’ are trays available for blind corners in kitchens. They are great for L-shaped and U-shaped kitchens. This S-shaped accessory wriggles out of corner cabinets in a pre-defined path. Magic Corner, on the other hand, has cubical trays which come out one after the other. When pulled out into full view, the shelves wind around the edges of the cabinets and become accessible. They work in a 2-step system, where the door is opened before pulling the corner out. Both of the above are less expensive than other pull-out systems, but cannot provide round storage. Because the attached shelves rotate and bring things in front, nothing is spilt. Blum, Hettich and Hafele are the leading brands for such accessories. The kitchen accessories and supporting structure have to be of great quality material because of the immense amount of weight they carry. Corner accessories like carousels work great for L-corners. 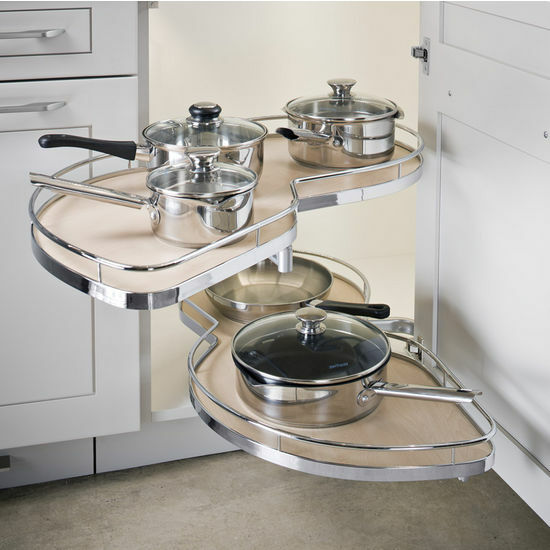 They provide maximum utilisation of space, can be accessed without any hindrance and can be used for storing heavy duty items such as pots and pans. The trays take up just 12″ of shutters alongside each cabinet face. They are either circular, D-shape or 3/4th circle, provides plenty of access and are available in various materials and sizes – circular, D-shaped and 3/4th circle. Lazy Susan is one of the most common accessories for L-corners. These circular trays have been used in kitchens since years. They are circular, spin around and provide easy access to many materials in the pantry. This type of unit can be placed over kitchen counters, inside lower and upper cabinets and are hinged over a central axis. 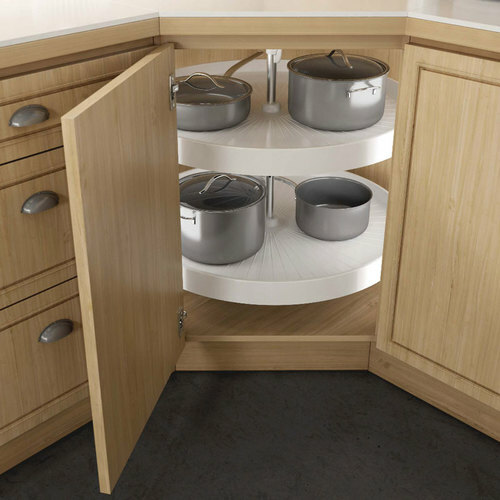 Lazy Susan‘s are a relatively cheaper option, simple to operate and can be used in L as well as certain blind corners. 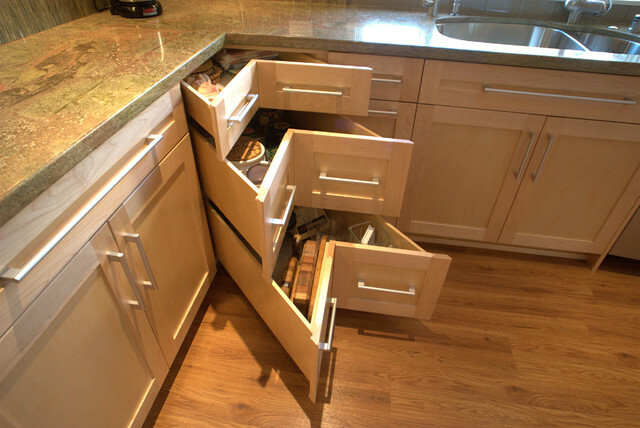 In square cabinets, lazy Susan’s can cause wastage of space. They can be wobbly and the units cannot be pulled out of cabinets. Blum, Hafele and Hettich are the top brands for quality L-corner accessories. 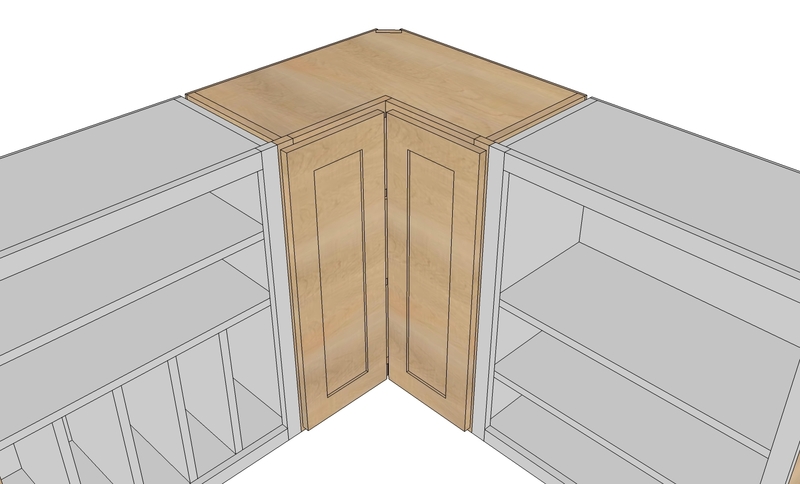 Corner drawers are often not the most preferred option since they require a different customised design and are often considered a waste. 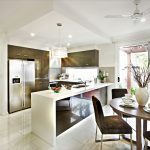 Today’s modular kitchens, however, afford a versatility of design, depth and access even though some amount of space may be lost. These drawers make excellent use of corner spaces, can accommodate a multitude of items and are always accessible. 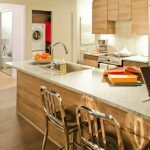 They may increase the cost of building a modular kitchen, however.